Natasha and Ray chose Villa Maria for their wedding at the end of 2016. They wanted a classic wedding with 60 guests. Their daughter must be one of the cutest flowergirls on record. 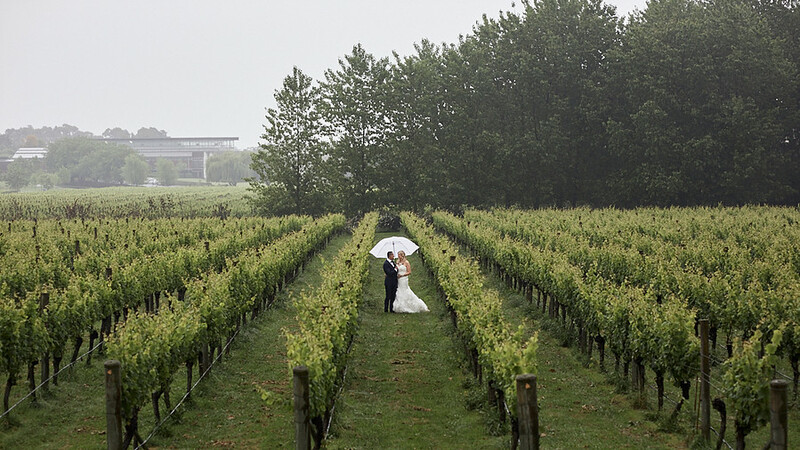 This happy relaxed couple enjoyed a day, despite the rain, which included their family and friends. Natasha was originally planning not to wear a traditonal gown but then fell in love with the amazing layers in the skirt of the Maggie Sottero Paulina.